4409 Sunset Circle, located in the Sunset Gardens subdivision is 6 years ''Young''. 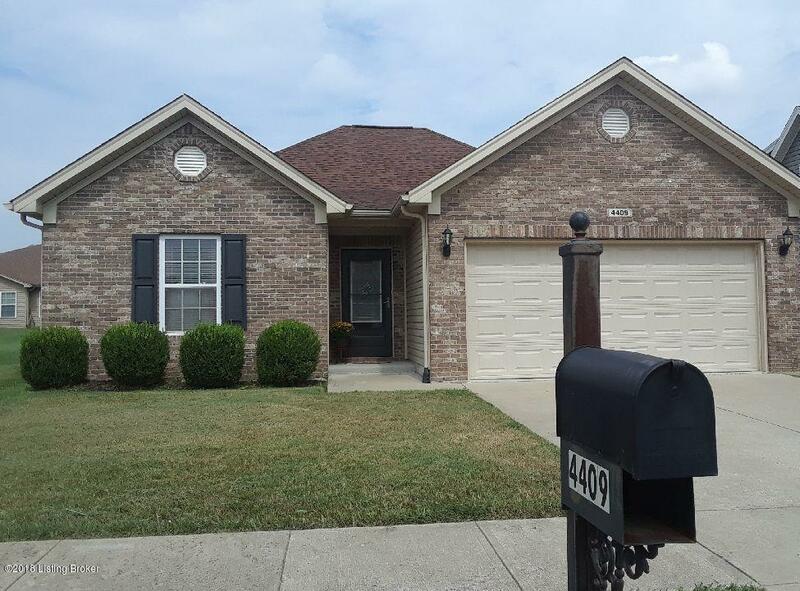 This fantastic 1 story 3-bedroom, 2 bath brick home with attached 2 car-garage is conveniently located to just about everything. No more ''steps'' to maneuver! Enjoy your home with everything on one floor! You'll love the open floor plan perfect for entertaining or just relaxing at home. The spacious foyer greets you as you enter. The full-sized laundry room is perfectly located in the home layout. Don't fret about getting wet when leaving from house to car, there's an attached 2 car garage. The Great room is open and airy and is perfect for all your furniture layouts. There is a King Size Master bedroom suite with walk-in closet and private bath plus 2 additional nice sized bedrooms and full bath. Theat-in kitchen has ample counter and cabinet space and leads to a wonderful patio for those special outdoor events. It just can't get any better than this lovely well cared for original owner home. The Seller is leaving the washer/dryer and all kitchen appliances as a convenience to the new home owner. This home has been well cared for by the current owner and is now waiting for its new owner. Be sure you include this on your list of home to view. You won't be disappointed!